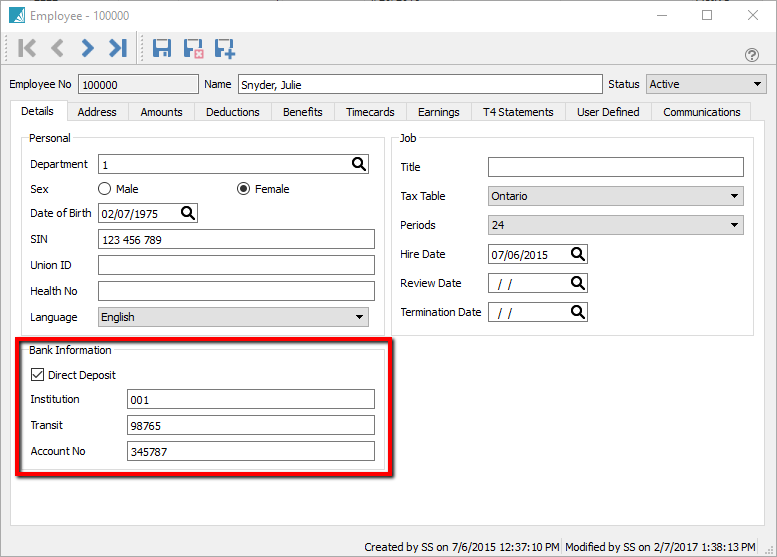 Inform your bank that you will be submitting a CPA1464 (Also Know As 005) file. 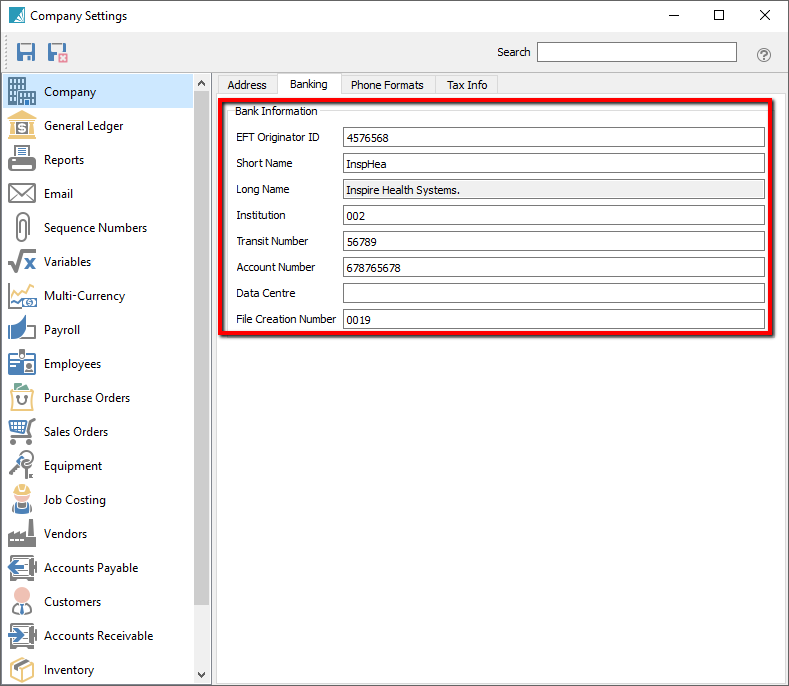 Set the companies bank information in Company settings -> Company -> Banking. Not all fields are required by all banks. Check with your bank for what they require. 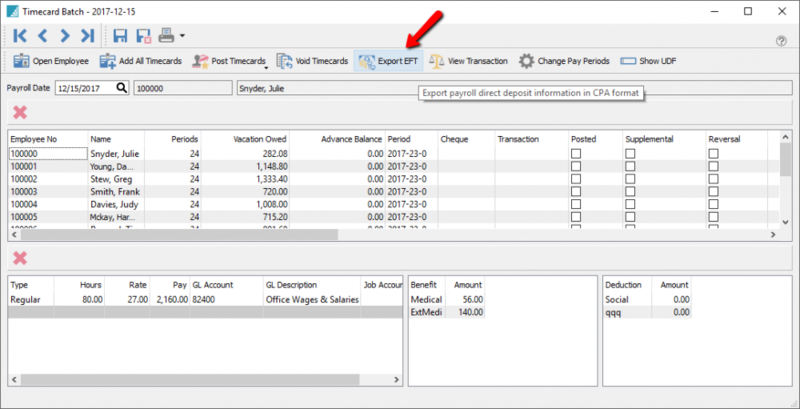 Go to each employee and add their banking information on the details tab under banking information.